The parade held in Sevastopol on the occasion of the national Navy Day spotlighted Russia’s recovering naval capacities, Nicolas Dhuicq, member of the French parliamentary delegation currently visiting Crimea, told Sputnik on Sunday. SEVASTOPOL — Over 20 warships, 10 support vessels and around 30 pieces of the Black Sea Fleet coastal forces’ equipment performed during the parade to commemorate the victories of Russian sailors. “During Vladimir Putin‘s presidency, there was an increase in military spendings, so we see today that the Russian Navy is back. The are only a few oceanic navies in the world: the French, the British and the Russian,” Dhuicq said, adding that he was impressed by the new Admiral Grigorovich frigate demonstrated at the parade. According to the French lawmaker, the parade highlighted the role of the Navy in the Russian people’s history, especially for Crimea. “A parade was quite big and popular event that showed a special link between the Russian population and the Russian Navy because everyone remember bravery of Navy forces during the World War II, specially, in the Black Sea and Crimea,” Dhuicq said. The Russian Navy Day is annually celebrated on the last Sunday of July. This year, the holiday marked several milestone events in Russia’s naval history, including the 320-year anniversary of the national Navy to be celebrated on October 30. By confirming the death of its three servicemen in Libya, France has admitted the presence of its special forces on the ground in the country; earlier the Pentagon also confirmed its presence on the ground in Syria. Chris Nineham from the Stop the War Coalition says that the majority of such operations are carried out without any UN authorization. On Wednesday French government spokesman Stephane Le Foll confirmed the deaths of three French soldiers who were on an intelligence-gathering mission in Libya and died in a helicopter crash near Benghazi, thus admitting the presence of its special forces on the ground in the North African country.”The special forces are there, of course, to help ensure that France is present everywhere in the fight against terrorists,” Le Foll explained in an interview with the radio station France Info. Reports suggest that following the Daesh takeover of Libya’s coastal city of Sirte in late 2015, the United Kingdom and Italy have also sent special forces to Libya. The Government of National Accord (GNA), Libya’s internationally-recognized ruling coalition, condemned the French intervention in a statement released on Wednesday evening, demanding an explanation from Paris and saying that it would not compromise on Libyan sovereignty. “The Presidential Council expresses its deep discontent at the French presence in eastern Libya without coordination with the Council, which was declared by the government of France,” it stated.The Benghazi Defense Brigades, the militant group that claimed responsibility for the downing of the helicopter, said 13 of its fighters were killed in what it described as French retaliatory airstrikes in western Benghazi. France denied that its warplanes over Libya were used for any missions but reconnaissance. US and French special forces are reportedly operating in the country, but the reports have not been officially confirmed until now. The Middle East Eye (MEE), an online news portal which covers the events in the Middle East, has obtained air traffic control recordings which suggest that British, French, Italian and US forces have been coordinating air strikes in support of Libyan General Khalifa Haftar, head of the armed forces based in Libya’s east. The commander, however, doesn’t officially serve the UN-recognized government and is in no position to seek military aid from foreign powers. Earlier in May, the Pentagon confirmed that one service member, probably a special operations soldier, was hit by “indirect fire” such as a rocket or mortar strike while operating north of the Syrian city of Raqqa, the de facto capital of Daesh’s self-proclaimed Islamic State.Another soldier was also hit by indirect fire outside Irbil, a city in the Iraqi region of Kurdistan. The announcement came as the first official recognition of a US service member being wounded in Syria. However, according to publicly available data from the Pentagon, there have been 14 service members wounded in Iraq and Syria since the start of the US-led mission there in 2014. The problem with such clandestine interventions is that they often disregard the law and have no public oversight, Stop the War Coalition’s Chris Nineham told RT. “They are not backed by the UN, these interventions. They are not checked anywhere. They are just unilateral acts of military aggression,” he added. Chris Nineham earlier also commented on the UK’s participation in the US-led coalition airstrikes in Syria when it was revealed after a freedom of information request by the campaign group Reprieve that around 20 British military personnel have been embedded within coalition forces in the country. Chris Nineham reiterated these concerns, and condemned “the historical instinct to dominate the Middle East which Cameron, Michael Fallon and others plainly demonstrate,” according to a statement on the Coalition’s website. Meanwhile Pentagon keeps reiterating that its service members were not “engaged in active combat” and were behind the lines operating in advisory roles when they came under fire. India’s deal with France to purchase Rafale fighter planes is taking more time than expected as the two sides have yet to reconcile their differences over a number of issues related to the deal. NEW DELHI Manohar Parrikar, India’s Defense Minister, says “the negotiations are underway and the inter-government agreement and offset contract are yet to be finalized. Replying to a query over the Rafale deal, Manohar Parrikar informed parliamentarians that the parties to the deal will decide whether or not the fighter jets are manufactured locally once negotiations are completed. However, Parrikar clarified that the Rafale aircraft being procured will have advanced features like active electronically scanned array radar systems, the capacity for mid-air refueling and advanced electronic warfare equipment as part of their design. Last week, the Defence Acquisition Council (DAC), the top decision-making body within India’s Defense Ministry, rejected France’s offer to sell 36 Rafale fighters for 8.49 bln USD. Sources say the DAC is seeking a further price reduction. Recently, France also proposed that it would assist India in reviving the unsuccessful Kaveri gas turbine jet engine project and a host of other projects including the manufacturing of fighter jet components, but it would take a final call only after the contract for procurement of Rafale jets was formally signed. According to sources, India has involed the French Embassy in order to expedite the negotiations, which remain mired amid many issues.On January 26, Indian Prime Minister Narendra Modi and visiting French President Francois Hollande suggested in a joint statement that negotiations for the purchase of 36 Rafale medium multi-role combat aircraft were nearly complete. Later, Manohar Parrikar, India’s Minister of Defense, set a deadline of June 2016 for the deal. However, the deal still hasn’t been announced. Inter-government talks between India and France on the purchase of Rafale fighter planes have hit another major roadblock as France has reportedly proposed an arrangement that India is most likely to reject outright. NEW DELHI Highly placed sources in India’s Defense Ministry have confirmed that France has been exerting undue pressure on India to seal the Rafale fighter aircraft deal without finalizing the mandatory offset contracts. The offset clause of India’s Defense Procurement Policy (DPP) mandates that foreign vendors spend a portion of the deal’s amount on projects within India.France has proposed that it would assist India in reviving the unsuccessful Kaveri gas turbine jet engine project and a host of other projects including the manufacturing of fighter jet components, but it would take a final call only after the contract for the procurement of Rafale jets is formally signed. Expert has view that India’s revised Defense Procurement Policy (DPP) has no room for such an arrangement. The offset policy is a mandatory provision which requires foreign vendors to invest a portion of the deal’s amount in India. The rationale behind the provision is to encourage foreign companies to invest in research and development, which would eventually make India self-dependent in defense equipment manufacturing. The French are willing to invest 50% of the deal’s amount, out of which 30% will be invested in the military aerospace research & development program.Sources from the Ministry of Defense say that France’s new condition has further complicated the deal, which had already been held back due to its many hiccups. To date, not a single major issue has been resolved between the negotiators. Apart from offset projects, the Ministry of Defense has yet to respond to the Ministry of Law’s objection over inter-governmental agreement for the Rafale deal. On January 26 this year, Indian Prime Minister Narendra Modi and visiting French President Francois Hollande had suggested in a joint statement that negotiation for the purchase of 36 Rafale medium multi-role combat aircraft was near completion. Later, Manohar Parrikar, India’s Minister of Defense set a June 2016 deadline for the deal. However, the deal was not announced in June. Moreover, soures confirm that negotiators have not met for over a month now. France has rejected the offer of a bank guarantee and is now waiting for further communication from India. New Delhi (Sputnik) – The ongoing Rafale saga seems to be in the doldrums once more, as whatever India has proposed so far it has been disposed of by the French government. France has also rejected a bank guarantee for the deal. Dassault Aviation initially offered to sell 36 Rafale fighter aircraft for around 10.5 billion euros but the Indian government has asked for a 30 percent discount. The issue over the price has so far proved to be a sticking point in the deal. Now in a fresh move to clear the stalled Rafale deal, the French government has offered a new price and French Defense Minister Jean-Yves Le Drian has written a letter to Indian Defense Minister Manohar Parrikar regarding the deal. According to the defense ministry sources, France has now offered to sell 36 fighters for 7.8 billion euros which is around 7 percent less than the original price offered by Dassault Aviation. But according to Defense Ministry sources, the Indian government has found the latest offer quite different from the earlier one as it contained product support only for five years instead of ten years envisaged in the earlier agreement. Additionally, the latest offer also ignores the cost of setting up infrastructure at two airbases for two Rafale squadrons.According to the Defense Ministry sources, the Indian government considers it has nothing to gain from the latest French offer, where price has been slashed at the cost of product support which is an essential component of the Rafale deal. India is also concerned that the French government has rejected India’s request for a bank guarantee for the deal. The Rafale deal is unlikely to be resolved in the near future as France will go into election mode soon and the deal will take a back seat. Russia and Egyprt has reached great progress as a result of negotiatons on the delivery of radio and electronic equipment for the Mistral-class helicopter carriers obtained by the Egyptian Navy. MOSCOW (Sputnik) – Serious progress has been made in talks between Russia and Egypt on the preparation and delivery of radio and electronic equipment for the Mistral-class helicopter carriers obtained by the Egyptian Navy after France canceled the deliveries to Moscow, a spokesman from Rostec’s United Instrument Manufacturing Corporation said Monday. “Negotiations are continuing with Egypt on the delivery of radio-electronic equipment for the Mistral helicopter carriers. 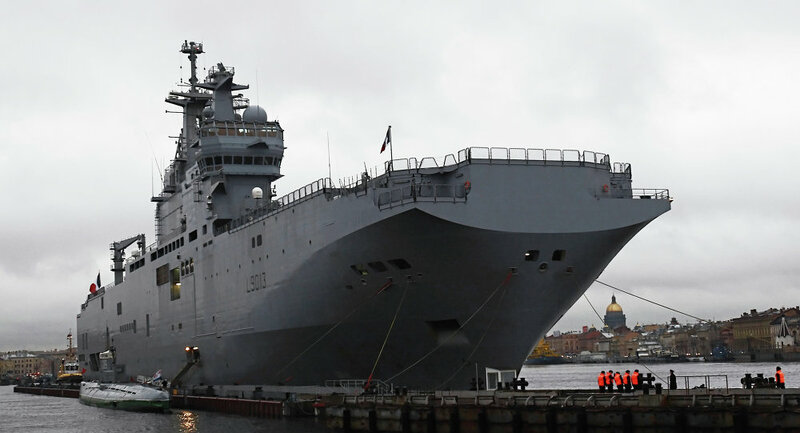 It’s already completely clear that the equipment stripped from the Mistral that was meant for the Russian Navy will not be delivered to Egypt…The possibility of preparing a different set of equipment especially for Egypt is currently under discussion,” the spokesman told journalists. He said that it was premature to talk about the results of the negotiations, but said the Egyptian side “is showing great interest.”In October 2015, Cairo and Paris signed a contract paving the way for Egypt’s purchase of two Mistral helicopter carriers originally built for Russia, after France officially terminated the 1.2-billion-euro (some $1.28 billion at current exchange rates) deal with Moscow. French Defense Minister Jean-Yves Le Drian said Monday that he would ask Russian Defense Minister Sergei Shoigu to intensify activities against the Islamic State (IS, or Daesh in Arabic) militant group. On Monday, Le Drian is expected to visit Moscow to discuss anti-terrorist cooperation with Russian leadership. “We will have an exchange [of views] on what we consider to be terrorist groups, and how Russia could strengthen its activities against our only enemy — Daesh,” Le Drian said, as quoted by the French Ouest-France newspaper. Le Drian and Shoigu are also expected to discuss the exchange of information on Daesh fighters from France and Russia. 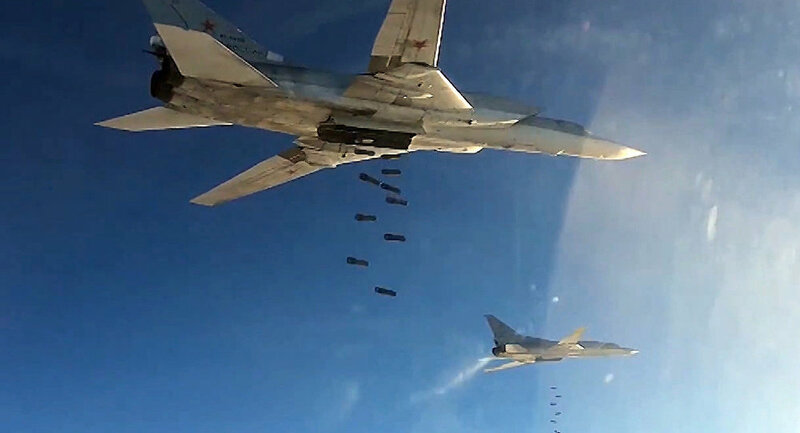 Russia and France are interested in intensifying their cooperation against the terrorist group after it took responsibility for the deadly terror attacks in Paris on November 13 as well as for the October 31 Russian A321 plane crash over Egypt.Moscow has been carrying out precision airstrikes against Daesh, outlawed in Russia, in Syria since September 30, at the request of Syrian President Bashar Assad. Paris has been bombing Daesh positions as part of US-led coalition of some 60 nations in both Syria and Iraq.